Is your greyhound shy? Will it always respond to you? After running briskly outside your fence, will it come back when called? Although your greyhound does well with you, if it is shy or a spook and escapes, you are in big trouble! There are many GPS units on the market, TAGG is one of them that we used to sell. We discontinued selling them when the manufacturer seemed to be potentially going out of business. A year later, they are still around and their GPS unit is better than it was before. This unit has to be routinely charged and you have to pay attention. If you don't do it according to the book you will be wasting your money. If you do it according to the book it will tell you precisely where your dog is even if it's 10 miles away. There is usually a maintenance fee of $7-10 per month in addition to the cost of the unit. I consider that cheap when we think about the safety of our pets. I've lost my dog, what do I do!? 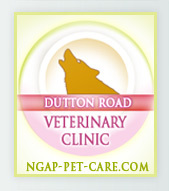 It is imperative that you contact NGAP if your dog is loose. We need to know the circumstances of how it got loose and info about your dog, because we may have a picture on file of your dog that we can post. Facebook is a wonderful tool to get the word out to thousands of people in only a few minutes. We generally have over 5,000 connections per week of people looking at our Facebook page. If it's a particularly interesting subject or crucial information, we can easily have 10,000 connections and a multitude of shares. Continue to communicate at NGAP if there are sightings so we can update info. Many people will specifically go and look for your dog. We need to know if it's shy, if it has a collar, and if it has a leash on the collar. 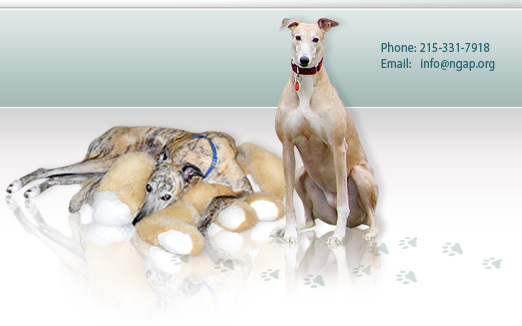 If your dog is shy and will run away it is usually better for those looking to have another greyhound with them. This is unquestionably the best way to find your dog because that other dog will give the lost dog a sense of comfort and will often come to it. Most of us know if our dog is afraid of the world, an escape artist, and only loves being in the confines of its own walled in yard. And even that is sometimes challenging. The worst case scenario is when this type of pet somehow escapes and how do we catch it. We have adopted thousands of dogs and unfortunately some of them have escaped. Most have been found alive but a few unfortunately were not so lucky. If you are looking for a lost, fearful, escaped hound, catching it is like playing Russian roulette or trying to catch it within a fenced yard; both are close to impossible. Our greatest successes have been when we have lured them into a trap. 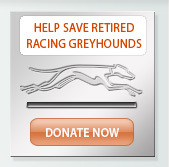 I remember many years ago when a greyhound was somewhere within the landing area of the Miami airport. It was a sealed area but it was huge. The gentleman that was trying to catch her, not the owner, ultimately took our advice of having her eating out of the same bowl on a daily basis. Using this technique he was able to drug and catch her. That was within an airport, not in a community surrounded by woods, trees, and streets everywhere. We tried to help him the best we could over the years and when he passed on--although he did not give us his greyhound--he did donate part of his estate to us. Back to the subject. Your dog has escaped and what can you do? Posting flyers, setting traps near sighting areas, and having volunteers search with greyhounds are all often helpful. However, just being lucky is probably the biggest factor. We live in an age of electronics and smart phones and computers and now GPS units for our spooky pets. The loss of Boy only reinforces the need for the investment in this one things that can make the difference between finding your dog alive quickly or not finding it at all. A while back we had TAGG GPS trackers in stock, at the time, it appeared that the company that owned the product may not stay in business so we stopped selling them that year. Apparently, they have managed the difficult economic times and have come out with a new unit that is available through multiple sources including Amazon. We have just invested in ordering a unit from China that is less money and we will try to see how it works. A GPS unit is an initial cost investment, it needs to be charged appropriately, and there is a monthly service charge, usually around $10 per month. Consider it an insurance policy because if your dog is lost, it will pinpoint the spot where your dog is. At least for a few days it will send notifications by email or text while telling you how to get there. If your dog is like Boy, you need to get one and have that same sense of security that you have for your home when it is insured in case of disaster. one should fool themselves if they are diligent and lucky enough for their pet not to escape. It only takes one workman leaving the gate open, the lawn people leaving the gate open, or the children playing leaving the gate or door open. There are lots of leaving gates and doors open scenarios for your dog to escape. Sometimes it's even through the front door. Having this tool of the GPS only works well if its charged and your pet is wearing it. Think of having insurance and forgetting to pay the premium...it then becomes useless. Advice from the person that receives the phone call, "my pet is lost, what shall I do?" Get a GPS unit.